If you’ve taken a look at some of today’s cloud-backup options, there’s a good chance you’ve heard of Mozy, another major player in the cloud-backup industry. Naturally, we gave MozyHome a test-drive in our office and found it pleasantly straightforward yet versatile. 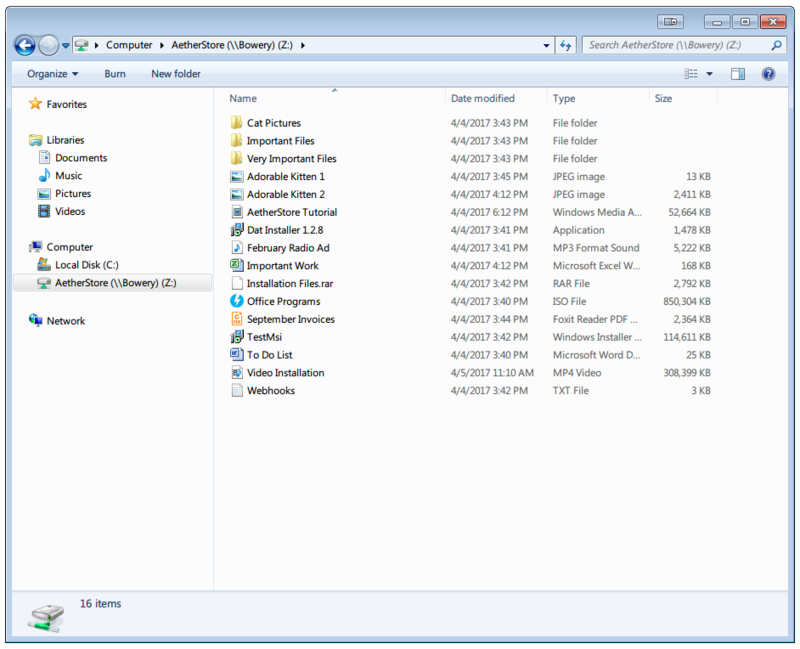 It comes with the usual gamut of features you can expect from any robust cloud-backup solution, and we were able to link it with AetherStore without any hiccups, giving us yet another reliable means to the 3-2-1 backup strategy. As always, the starting procedure is the same. I have my AetherStore set up, and all my important files that I want backed up have already been moved in. You should do the same if you haven’t already done so. You can check out Shannon’s guide here, for instructions on how to set up a Store. 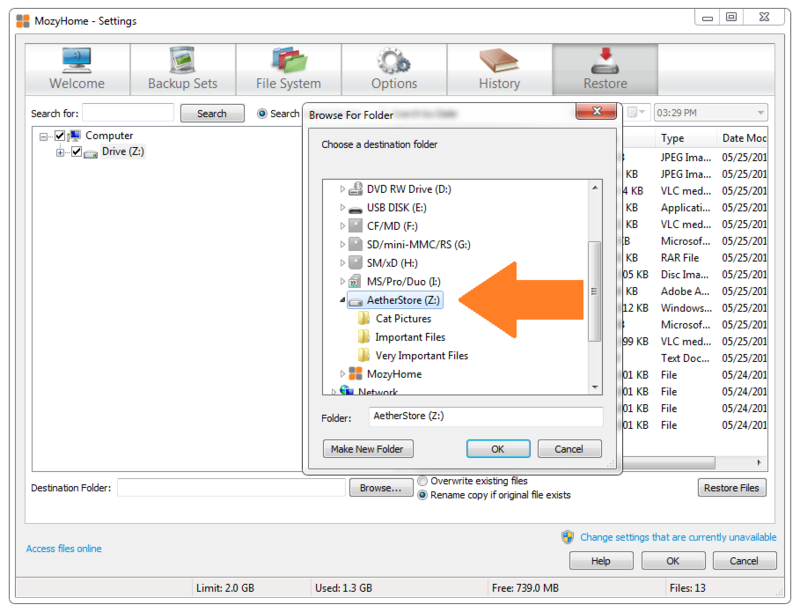 Install MozyHome and run it, then access the ‘File System’ Tab on the top. 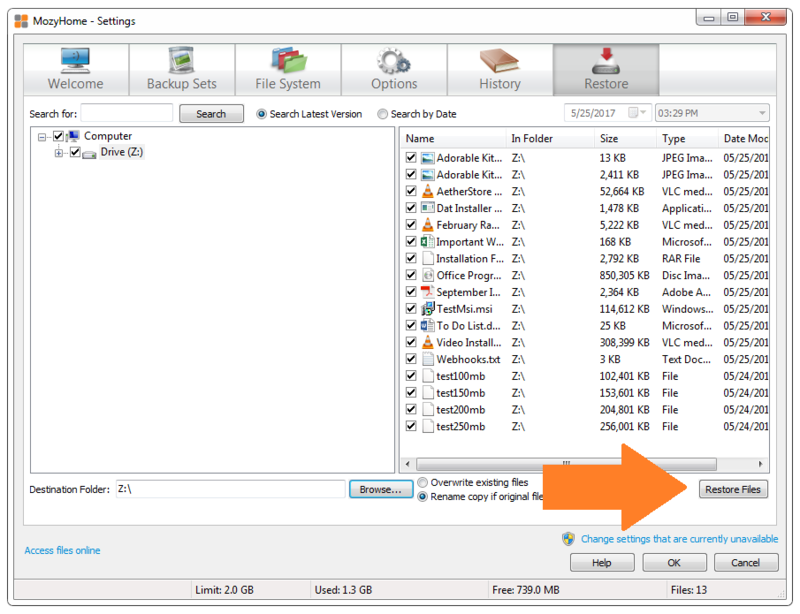 Select AetherStore as your backup location, including or excluding files as necessary, then press ‘OK’. 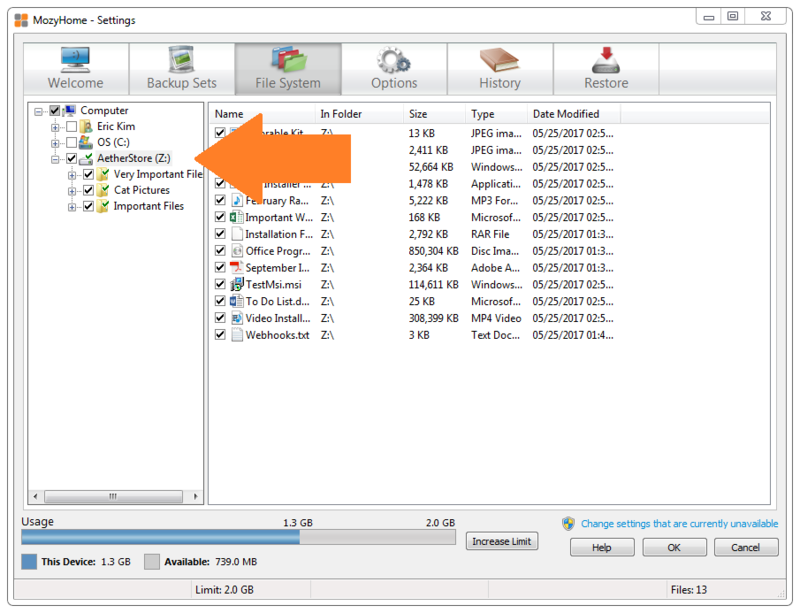 Press the ‘Start Backup’ button, and that’s it! In the ‘Restore’ tab, select the files you want to move into AetherStore, and click the ‘Browse’ button on the bottom to set your restore location. In the window that pops up, select your AetherStore mount as your restore location. 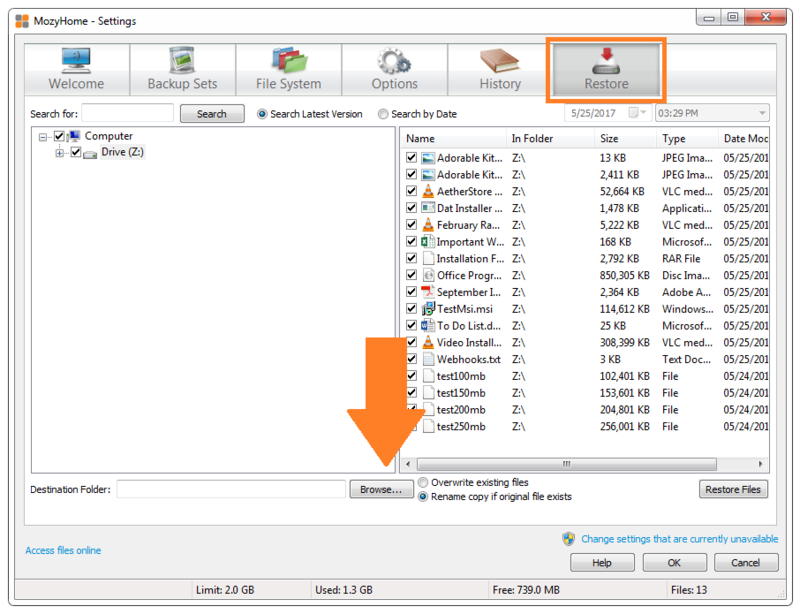 After setting your restore location, press the ‘Restore Files’ button to start your restore process. And you’re good to go! 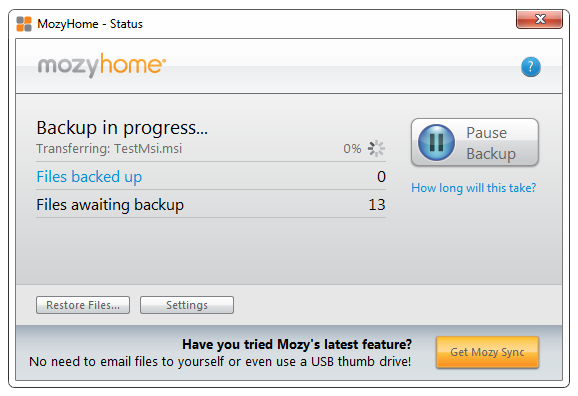 Give Mozy a few minutes for it to finish the restore process. 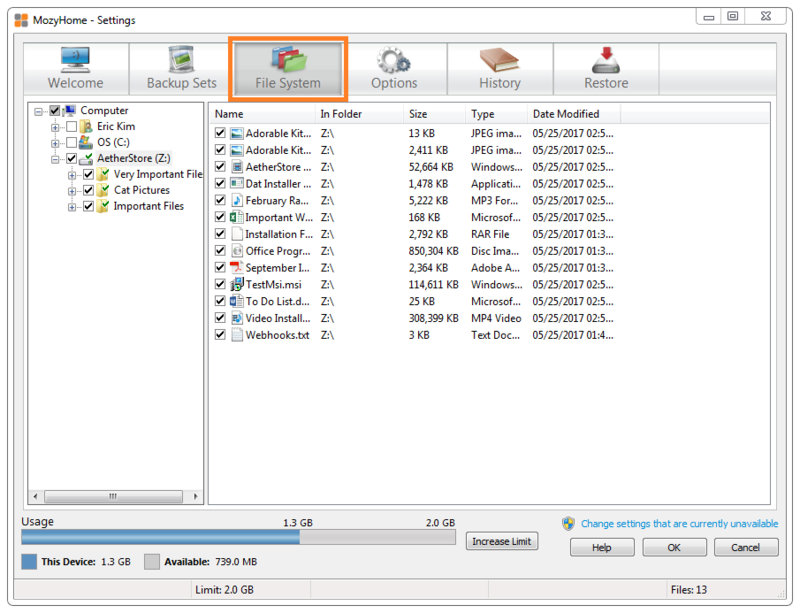 Once finished the files you had saved in Mozy will be transferred to your machine, and you’ve successfully setup your 3-2-1 backup configuration.